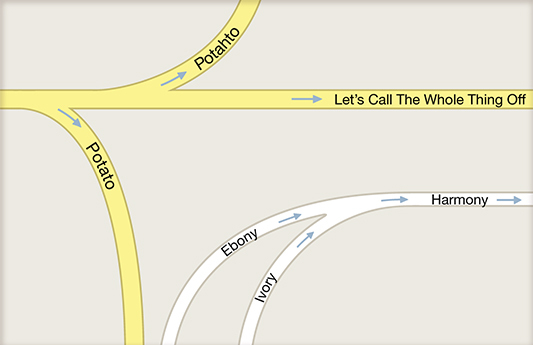 Get your fix of topographical humour over at the New York Times. More great comics here from the talented penmanship of Mrs Stuart. There's money in them thar audio files! Not much, yet, and obstacles abound, but podcasters are mining everything from commercial sponsors to paid guest appearances in the quest for profitability. By Steve Friess. CD sales keep dropping, but there's some good news for the music industry in the form of sales via download. Will the trend continue if the RIAA, et al start messing with pricing models? Electronic Arts agreed to settle a suit by ex-employees who say the videogame firm owes them overtime pay. The World Cyber Games completed its United States finals on September 10th. Does competitive video game playing have a future as a professional sport in North America?